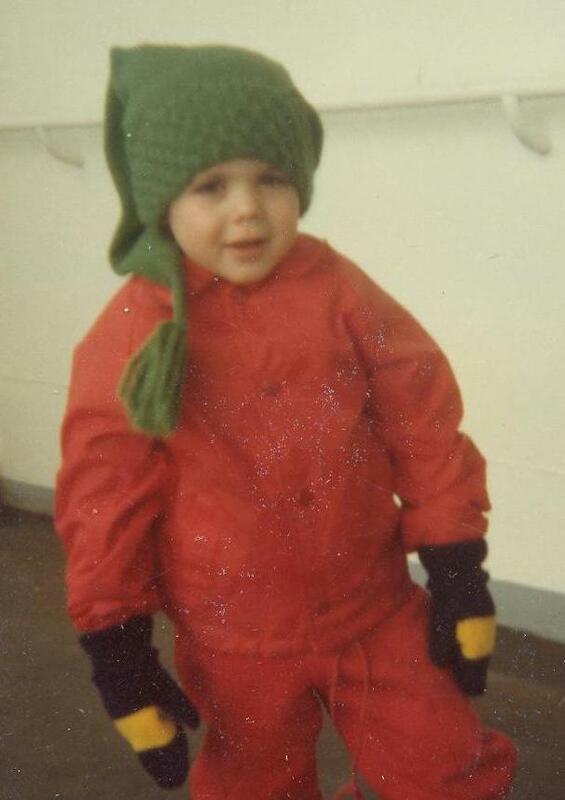 For a couple weeks now, a picture has been floating in my head… this little boy, red boots, red jacket, green hat… standing on the edge of a frozen highway… alone. It’s one of those life snapshots I’ll never forget. The picture, the sounds, the circumstances are as real to me this moment as they were back then… the day we crashed our big truck on the way to Alaska. I wrote about that here . So, I am stuck in the cab… Doug, hanging upside down, is trying to pull me up. Ian’s screams from the highway are so loud it was as if he had a megaphone to his lips. In spite of the distance our eyes were locked tight. I couldn’t physically reach him. But I felt if I didn’t take my eyes from his, I could will him not to slip backwards onto the road, will him not to slip down the ravine with the truck, will all danger away from him. Reality of this world says I could do none of those things, but at that moment I had to believe I could. I needed him to keep looking at me. A few days ago I was reading the book… 14th chapter of Matthew, actually. So now I’ve got this story in my head… and that little boy’s picture in my heart. And I think I know what’s going on. Why do I always forget that? He leans towards me with grace and I look everywhere else but straight ahead. Today I lock on the laser vision… and pray I remember to do it again tomorrow. And what happened to a frightened boy stranded on the side of a desolate, Alaskan highway? Well, after we were rescued, and as we pulled away from the sorry sight of our truck and earthly goods left behind, Ian started waving. And there you have it… believe it or not. That gave me goose bumps. Thanks for sharing and reminding me where, or rather at who, I am supposed to be looking at. Thank you, Jacquie:) And as you can see it’s something I need to remind myself of daily. Appreciate your comments. Yep, he sure does have our backs, Connie 🙂 I saw that picture on Facebook…So glad you are ok! As Jacquie already said, “goose-bumps!” It is amazing how often you hear real stories like this, of real angels. Yet, we do forget and go blindly stomping through our days, unaware. Good story, good reminder. He is able!